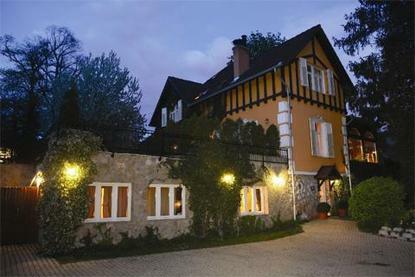 The 4 star Uhu Villa is the most charming hideaway in the Hungarian capital. Overlooking the city, the turn-of-the-century villa has been decorated with care, combining harmoniours colors to create an atmosphere of comfort and style providing a rare opportunity for peace and quiet. Uhu Villa offers its guests a heaven of silence and energy, a welcoming and sophisticated place designed for the comfort and care of the body and mind.